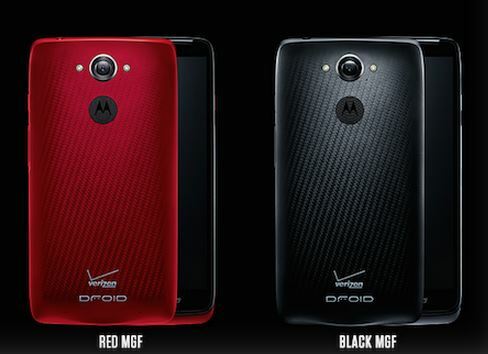 Motorola has paired up with Verzion to launch another mobile in its popular Droid series called the Droid Turbo. The Droid Turbo will be available only with Verzion and the device has some amazing specifications to become the flagship smartphone my Motorola after the Moto X. The device will be available by Verzion from October 30th under contract, there are some great features like the 3900 mAh battery which is worth mentioning along with its Turbo charging capability. The name “Turbo” is given because of the Turbo charging facility. There are other features like the Snapdragon 805 processor and the Quad HD display along with 3GB RAM which surely make it a top end device. Motorola Droid comes with a 5.2 inch Quad HD display which has 2560×1440 pixels resolution having an amazing 565 ppi and comes with the top of the line snapdragon 805 processor which is available only in note 4 at the moment in the market. It runs on 3GB of RAM and the OS is Android Kitkat 4.4 which will be updated to Android Lollipop as soon as it is launched in the market. Many can compare this to the Moto X and we can say that it is the big brother of Moto X in terms of features but from the design point of view this device is completely different by having three touch buttons which are out of the display making it a bit taller and having more space beneath the display and the the back of the device also has a neat design. The Volume rocker buttons act as the SIM holder cover where you have to pull out the Volume rockers buttons to access the nano SIM card tray beneath. Apart from the design the design has a great 21MP rear facing camera which comes with two LED flash lights placed on either side of the camera and not the Ring flash concept seen in Moto X. The Battery is 3900 mAh and comes with Turbo charger capability and Motorola has said that the device can be cahrged from zero to hundred percent in just three hours and the battery can last for 48 hours of usage. It also has a wireless (QI) charging option which motorola says will not charge the device like the Turbo charger does. And it comes with all the usual features like WiFi, 4G LTE support via Verzion and coming to the pricing it is available in two version the 32GB – $199.99 with contract and the 64GB – $249.99 on contract. The price of the off contract or unlocked version is not available as of now. It is available in three colors metallic black, ballastick black and Red.